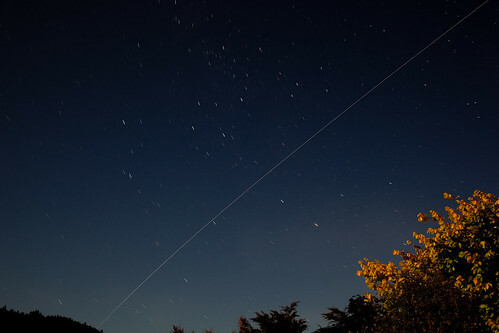 International Space Station over Upper Hutt taken by Lance Andrewes in Pinehaven on the 30 January. Details below of photo taken on the beautiful clear night yesterday with the full moon. The original photo (link) highlights star formations eg Sth Cross. Great work! The ISS traces a bright trail even though the sky is quite bright due to a full moon. The exposure is 161 seconds at f/6.3, ISO 400 with a 35mm lens. Image centre is looking SE to the Southern Cross and pointers. The ISS path starts at 22:38:50 NZDT (elevation about 40 degress to the SSE) and ends to the SE when it goes behind the hill.